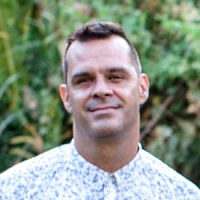 “The marketplace is the perfect place to build community and to show people who Jesus is, as well as having a positive social and economic impact”, says Mark Plummer. 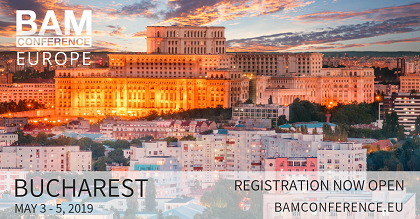 The first conference in Europe of the Business As Mission (BAM) movement will be held in Bucharest (Romania). The three-day event (3-5 May 2019) will bring together business people, academics and students, mission personal and church leaders - and will put a strong emphasis on case studies and networking. The organisation says it is an “event designed to give a taste of what is happening around the world in Business as Mission (...) Key business and network leaders and investors are coming from around the world to share insights into how God is using business to advance His Kingdom”. A range of issues including topics like “Environmental stewardship”, “Business to the Unreached and Unengaged”, “Professional Women” and “Ethical Supply Chain” will be addressed in more than twenty main and breakout sessions. Mark Plummer, Director of BAM Training Initiatives, told Evangelical Focus more details about the vision behind the movement. Question. The theme of the conference is “Real Business. Real Mission”. Why? A. This is an affirmation of the godly call to do “real business”: to create products and services that are needed by society. By doing good, sustainable business, companies create jobs, make a profit and help people and communities to flourish. This is God’s design for business. Then “real mission” speaks to the fact that we can intentionally use this God-given power of business to share the gospel and to love our neighbour, where it is most needed. The marketplace is the perfect place to build community and to show people who Jesus is, as well as having a positive social and economic impact. The integration of faith and work, business and mission, is so important for our lives today. Q. How can an event inspire and train Christian entrepreneurs and business people? A. I think one of most important things we can do to inspire and equip is to tell good stories. There are people out there doing great business while transforming lives and communities, this is highly inspiring and impactful. Business people need to feel affirmed that God can use their skills and experiences for His kingdom purposes. Then there is the power of networking. Joining with hundreds of other people who are thinking about God and business, is encouraging, challenging and motivating. Business people love making connections that may help them in their business life and beyond. This ability to connect and learn from one another adds great value to the delegates. A. Yes, this is the first BAM Conference in Europe, building on the success of previous events the USA and Asia. We expect most participants to come from Romania and the surrounding countries, however, many regions will be represented with participants from right across the region; Scandinavia, North Africa, Central and Western Europe, as well as people from as far as Australia and the United States. Q. What are some of the topics that will be addressed that you consider most relevant for Europe’s moment now? A. A biblical worldview on business and work is a crucial foundation, this is of utmost importance for the Church in Europe today. We will address Christian responses to refugees through business and we will look at business solutions to human trafficking, both highly current topics for our region. We will also discuss taking the gospel to the unreached through business, still a pressing task for the church globally. Readers may view the topic and breakout list on the website for other topics relevant to them. Q. How has a good theology of work helped you in your own experience? A. In my personal journey of 19 years of study of this area, there have been passages of scripture that have enabled breakthroughs for me. Proverbs 31 is about a woman in the marketplace who has a great impact in her community and a great influence in her city. This speaks to the opportunity we have as we honour the Lord in our business life. Paul exhorts us in Colossians 3 to work with all our hearts as unto the Lord. Along with the Parable of the Talents and the Parable of the Shrewd Manager this has helped me to understand that work and business skills can be glorifying to God and are valuable to Him. Learn more about the conference and how to register on the BAM Conference Europe website.